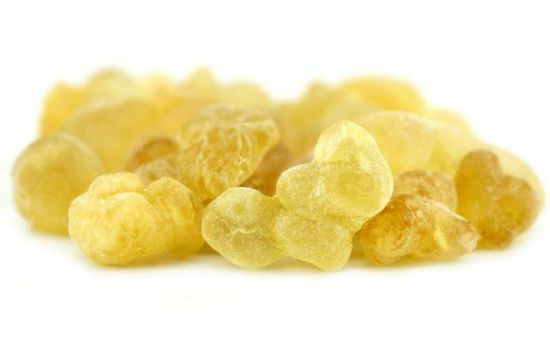 Did you know there are 5 different grades of frankincense resin? Young Living has always used the top grade – A or “howdjury” (this is the pronunciation not the true spelling). But this isn’t necessarily the case with other companies. The health benefits of Frankincense Essential Oil can be attributed to its properties, as discovered through science, as an antiseptic, disinfectant, astringent, carminative, cicatrisant, cytophylactic, digestive, diuretic, emenagogue, expectorant, sedative, tonic, uterine and vulnerary substance. Carminative:Frankincense oil eliminates gas and prevents it from building up in the body. Digestive: Suffering from indigestion ? A patient of chronic indigestion and acidity? Fed up with those antacids? Then you should try Frankincense Oil instead. This oil has digestive properties without any side effects, and it facilitates digestion. Respiratory Issues: It soothes coughs and eliminates phlegm deposited in the respiratory tracts and the lungs. Frankincense essential oil also provides relief from bronchitis and congestion of nasal tract, larynx, pharynx, bronchi, and lungs. Its relaxing and anti-inflammatory properties also help calm the breathing passages, which can reduce the dangers of asthma attacks. Stress and Anxiety: Frankincense Oil is very effective as a sedative, because it induces a feeling of mental peace, relaxation, satisfaction and spirituality. It also awakens insight, makes you more introspective and lowers anxiety, anger and stress. Watch as Gary Young and a group of Young Living visit a Frankincense farm and discuss the future of this oil? Will there be any more oil in the near future? A friend of mine recently sent me a link to a website which sold essential oils and other organic products online. It looked like a great site, beautifully presented and fully functional. I came across Frankincense which they listed as being 100% Pure. When I looked at the price, it was AUS$14.30 for a 17ml. From my own background knowledge that seems cheap. Very cheap. Let’s play with numbers a little. The best quality Frankincense (and we’ll look at the different types available later in this post), Boswellia Carterii comes from Somaliland and Puntland in East Africa. They produce something like 400-450 tons a year. Young Living source their Frankincense from this location and distil it in Nairobi, Kenya. Contrary to popular opinion, Frankincense is currently not commercially harvested and distilled in Oman. In fact, according to Dr Ahmed Warfa, a world authority on Frankincense, Oman hasn’t exported Frankincense for over 50 years. Watch out for any company that makes this claim for their frankincense. The Frankincense resin or gum (this is the raw material cut from the tree) sold from Somalia costs about US$30,000 to US$35,000 per ton (907 Kilograms)  That’s about US$33 a kilogram. So far so good. However when this is distilled you may get as little as 5% of this as an essential oil. That makes things pretty expensive. Now you are looking at something that has cost you at least US$661 a kilo ($30,000 / (907x 5%)). That’s about US$18.89 an ounce (or 28 grams). The website, my friend referred me to were selling Frankincense oil at $330 (Australian) a kilo! Something definitely stinks here. A portion of this label X might indeed be 100% pure, but what of the rest? After the initial oil has been distilled from the Frankincense gum, there is often a 2nd, 3rd and 4th distillation. By now the amount of frankincense oil retained is very weak. Much of this ends up on the perfume market. A lot of it is mixed with synthetic constituents and sold to the public as pure, essential oil. So a combination of factors could account for why you may have cheaper, yet inferior quality Frankincense oil. Young Living essential oils, on the other hand continue to obtain their Frankincense oil from the best sources and using the best techniques to distil their oil. Over a year ago, Young Living’s Frankincense oil was featured in an independent study by BioMed Central, with the findings published in the British Medical Council journal Complementary and Alternative Medicine. The goal of the study was to evaluate the oil for its anti-tumor activity. The results were most encouraging. Did you know Frankincense Essential oil is just one of the 11 great oils included in the new Premium Starter Kit?